If you are like several college students who get to their campus and check themselves into a dorm room, you may be unloading so many bucks in personal belongings, especially electronics that are easy to steal. Tuition is enough to bother about; do not make your parents or sponsors source for extra funds to purchase another laptop because yours was stolen (or end up cleaning up cafes to buy a new one). Cameras, stereos, gaming systems, smartphones, and laptops are snatched from backpacks, dorms, and even school libraries. Thus, you shouldn’t be loose with your stuff, even if it doesn’t seem cool to other residents that you keep an extra eye on your belongings. Be sure to guard what you don’t often use because it could be a soft target for pilferers. 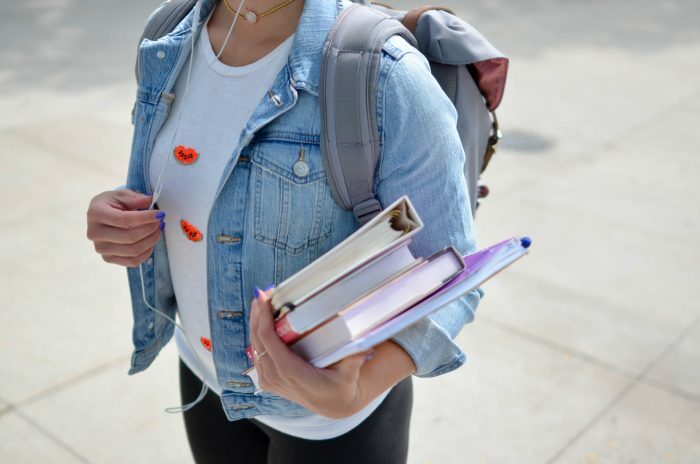 According to compiled data from the Federal Bureau of Investigation, the most common crimes on campuses are personal property theft and burglary. Here are a few things you can do to ensure your belongings are safe on campus. Take snapshots of your stuff and have the serial numbers of your electronics registered. Keep the records in your home. Several schools have free belonging registration programs which are maintained by the campus police and student affairs. So you can take advantage of this if there’s something you forgot to register. If you don’t have a serial number registered, you may find it hard to prove that a stolen item belongs to you – if it is recovered. Do not leave it – or your gaming system or laptop – on your desk, in your car or on your bed where it is easy to see. Also when you are walking alone in the dark, be cautious and alert against phone snatchers. There are markets for them where individuals can sell to pawnshops or whoever is ready to buy. Apps like Find My iPhone or Android can be utilized in tracking your phone if it gets stolen. If you leave without locking your dorm room and your belongings get stolen, it’s on you. If you have a laptop or a gaming system, you can have it tethered to one of the legs of a heavy table using a cable lock (also known as cable anchor) which you can get at electronics shops. They are not perfect, as they can be cut through, but they’ll surely deter casual thieves who are in search of an easy catch. Another option to guard what you don’t use often is to buy a fire-safe lockbox (steel) for your dorm. They are available in sizes which will fit under your desk or in a closet. Purchase one that is heavy enough to prevent anyone in a hurry from carrying it. If you are allowed to bolt your plate to the ground, that is your safest bet. On the other hand, you can secure your box using a cable lock. If anyone cuts the cable, they can be spotted along the hallway walking with the box. The most common crimes on campuses are bike thefts. You can use a U-lock made of steel (not the cable kind which can be easily snipped using bolt cutters) to secure the bike to a pole or rack; lock both wheels with a steel cable. Some thieves can pose as tech repair employees on campus and ask to borrow computers for routine maintenance. Students can be complacent and leave their dorm room open or leave valuable items such as phones on a desk in the class. If you happen to use your laptop in a coffee shop or cafeteria, take it along with you when you go to the toilet. Carry such items in a small purse, a pocket or a wallet. Professional thieves will not have challenges stealing those items by unzipping your backpack while it is hanging on your chair in a cafeteria or even a crowded area. Writing your name will give you a chance to prove the textbook is yours if stolen and recovered. Purchase a student insurance policy if you stay on campus or renter’s insurance if you’re off-campus. Do this mainly at night, and if you suspect someone, cross to the other side of the road.